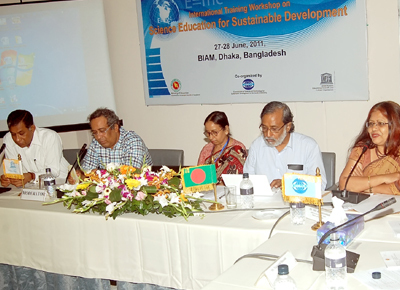 A two-day International Training Workshop on “Science Educa tion for Sustainable Development” was organized by the Commission on Science and Technology for Sustainable Development in the South (COMSATS), in collaboration with the Ministry of Education, Government of the People’s Republic of Bangladesh, and the United Nations Educational, Scientific and Cultural Organization (UNESCO), on June 27-28, 2011, in Dhaka, Bangladesh. This collaborative event was inaugurated by H.E. 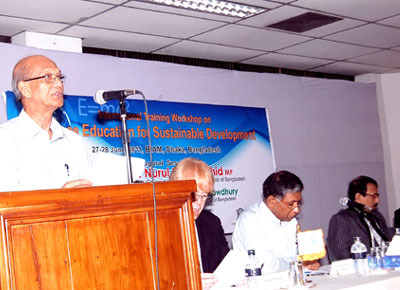 Mr. Nurul Islam Nahid, Minister for Education, Government of Bangladesh, on June 27, 2011, at the Bangladesh Institute of Administration and Management (BIAM), Dhaka, Bangladesh. The main objectives of the event, inter alia, were to: discuss the role of Science Education in attaining sustainable development; identify means of enhancing the quality of scientific education, research and training; and jointly develop policies and strategies for employing innovative techniques for the delivery of Science Education, raising awareness on climate and environmental challenges, meeting healthcare needs, and building regional and global partnerships for Science Education. 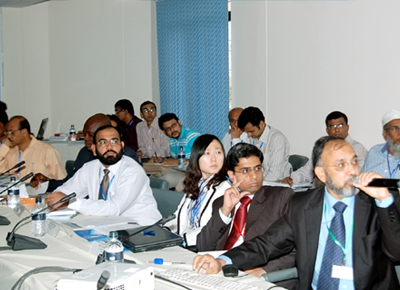 In his message that was read at the occasion by Advisor (Programmes) of COMSATS, Mr. Tajammul Hussain, the Executive Director COMSATS, Dr. Imtinan Elahi Qureshi, stressed that “Regional and global partnerships for scientific education and training are essential for achieving economic prosperity, environment quality and social equity that are the three dimensions of sustainable development”. The Inaugural Session of the event further included addresses by the Secretary of the Bangladesh’s Ministry of Education, Dr. Kamal Abdul Naser Chowdhury, Head/Representative of UNESCO’s Dhaka Office, Mr. Derek Elias, and the Additional Secretary of Bangladesh’s Ministry of Education, Mr. Md. Sirazul Islam, as well as presentation of the Workshop’s Theme Paper by the Chairperson of the Department of Biochemical Physics and Technology at Dhaka University, Prof. Dr. K. Siddique-e-Rabbani (Technical Coordinator of the event). 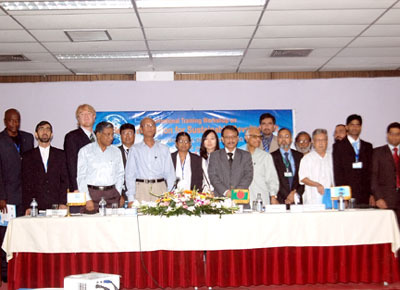 The proceedings of the two-day event comprised 5 Workshop Ses sions, having specific topics related to the overall theme of the workshop and comprising presentations of local/foreign participants as well as discussion sessions for the identification of key issues and challenges facing Science Education in the developing countries and formulation of specific recommendations. Besides the participation of relevant personnel from China, Nigeria, Pakistan, Sri Lanka and USA, various public/private universities, S&T/R&D organizations, Government Departments and NGOs of Bangladesh were represented in the event. The Workshop served to develop and strengthen necessary linkages among the relevant entities, individuals and/or institutions of the developing countries to exchange expertise/knowledge for strengthening Science Education as a way of attaining sustainable development. During the final session of the Workshop, the participants jointly formulated a set of specific recommendations that would help the relevant decision-making bodies of the developing countries in amelioration of the prevalent education systems that, per se, fall short of meeting the needs of sustainable development.